Simply implementing a virtualized solution within your infrastructure is not enough to provide the agility today's IT challenges require. Windows Server 2012 changes the virtualization equation by enabling you to deploy and manage a multi-tenant cloud infrastructure within a flexible IT environment that adapts to your changing business needs. The enhanced features in Windows Server 2012 empower you to efficiently utilize the capacity of your datacenter, while delivering best-in-class performance for your Microsoft workloads. Access to corporate resources such as workloads, storage, and networks help increase the agility of your business while protecting corporate information. Offering a proven, enterprise-class cloud and datacenter platform, Windows Server 2012 can easily scale to continuously run the largest workloads with support for up to 64 processors and 1 terabyte of memory for Hyper-V guests, and VHDX virtual hard disks up to 64 terabytes. In addition, powerful availability features protect against service outages. And with automated protection and recovery for cost-effective business continuity on-premises and across clouds, you can improve your workload SLAs while reducing downtime risks. To help you protect your investments in existing cross-platform technologies, Windows Server 2012 also offers expanded support for a heterogeneous datacenter, including rich Linux support. Windows Server 2012 enables you to blend your on-premises solutions with the cloud without having to re-engineer infrastructure, systems management, or applications. 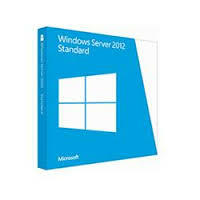 Windows Server 2012 enables you to build and deploy applications in your datacenter that utilize higher-level, cloud-based application services and APIs that are compatible with service provider clouds and Windows Azure. This functionality provides improved application portability between on-premises, public, and partner hosted clouds, increasing the flexibility and elasticity of your IT services. Windows Server 2012 also provides frameworks, services, and tools to increase scalability and elasticity for multi-tenant aware applications and websites. Features such as NUMA-aware scalability, centralized SSL certificate support, and application initialization help improve site density, site scalability, and performance. The best platform for the .NET framework, Windows Server 2012 also offers enhanced support for open frameworks, open source applications, and various development languages. Windows Server 2012 empowers end users by helping provide them access to information and data regardless of the infrastructure, network, device, or application. Your IT staff can provide consistent access to corporate resources by managing and federating user identities and credentials across the organization and into the cloud, while providing secure, always-available access to your corporate network. Windows Server 2012 also makes it easier to deploy a virtual desktop infrastructure (VDI) and lowers costs by supporting a range of storage options and storage de-duplication for VDI. Dell offers such a wide range of products that it is only natural they have one of the best server lines in the world – Dell PowerEdge. PowerEdge servers are available in different models and as towers, racks, or blades. The choice depends on the size needed, the functions it will need to perform, and the physical space available. Servers are necessary for almost any type of business. Whether it is a database server, mail server, backup server, or all of these, any business that wants to be fully operational and have all its systems backed up must have servers. 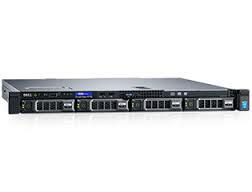 Our selection of Dell PowerEdge servers is ideal for businesses, and rack-mounted models are a speciality of ours. They offer a unique advantage over tower versions since a large number of servers can be housed in racks to save space, simplify your operations and reduce your costs. Models included in the rack-mount Dell PowerEdge range include the R230 and R410, both known for their impressive reliability and available at great discounts on their original retail prices. In addition, you can find official Microsoft/Dell software licences in the same category to complete your new business server setup. The PowerEdge server models can be placed in four different categories: entry level, advanced, premium, and new 13th Generation. The specs of each sever, its capacity, its physical size, etc. are all determined by its use and on which of these levels it is needed. ITC Sales stocks all of these different types of Dell PowerEdge servers. Here at ITC Sales, you can get these servers at a fraction of the recommended retail price and still get all the excellent power, space, and efficiency that you want from a server. ITC Sales only source and sell the best quality products. If your business needs a server, take a look at our PowerEdge server range and place your order online today for fast UK delivery. It doesn?t matter what your needs or space requirements, you will find a Dell server option here that will meet all your requirements. Many of our products are available with full Dell warranties and all of our Dell Certified Refurbished products have a Return to Base Warranty. For more information or to discuss an order, call the ITC Sales team today on 03333 222 200.